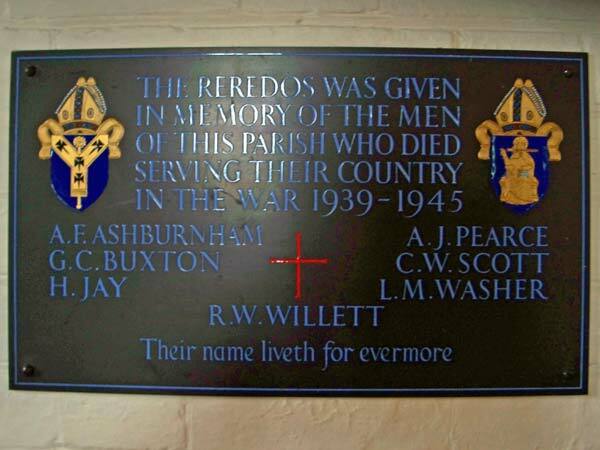 There are memorials in the church to benefactors and their families, to those who have served the church as vicars or church wardens, and to those who have served in — and died in — various wars. 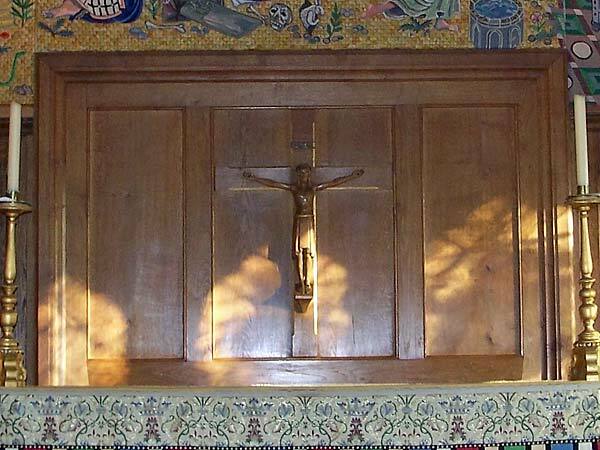 The window dedicated to the two men who fought in the Boer War, and two Rydon memorials can be found on the earlier history page, The Willett and Bartlett windows can be found on the later history page, and the Boden memorial paintings of the life of St Augustine can be found on the Augustine page. 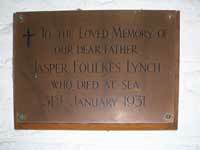 On this page are some of the other memorials in (and outside) the church. 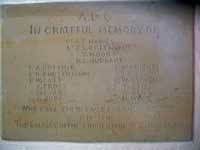 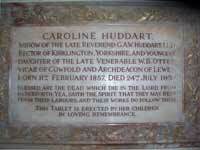 Only a few of the memorials to be found in the church are shown here, as not all are legible in a reasonably sized photograph. 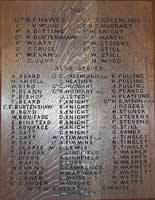 Even for those that are included here, not all details are easy to read; there is, however, a very good page of information on the men named on the war memorials at the Roll of Honour web site. 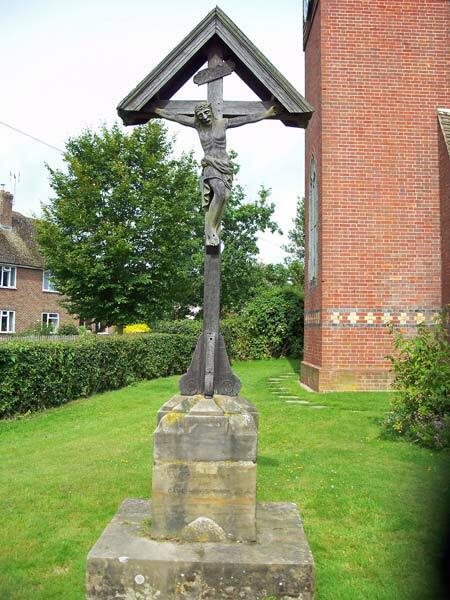 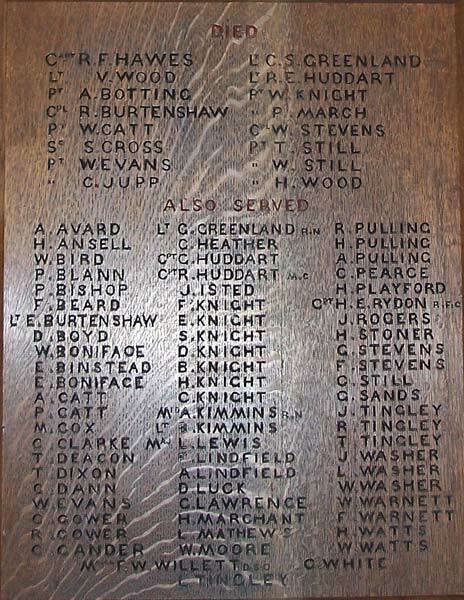 There is a prominent wooden memorial in the north aisle of the church that lists the names of all combatants in the First World War who came from the parish, making special mention of those that died. 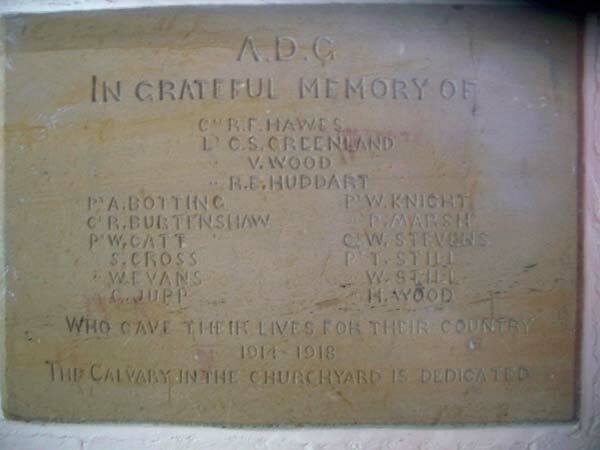 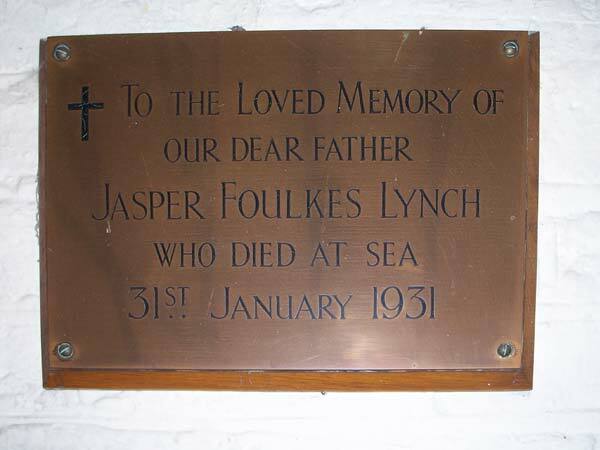 There is a less prominent memorial, in the church porch, giving just the names of those who died, but explaining that it is to them that the Calvary in the churchyard is dedicated. 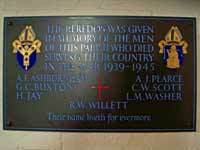 Apart from the Willett Memorial windows, the commemoration of the dead of the second world war is much more subdued. 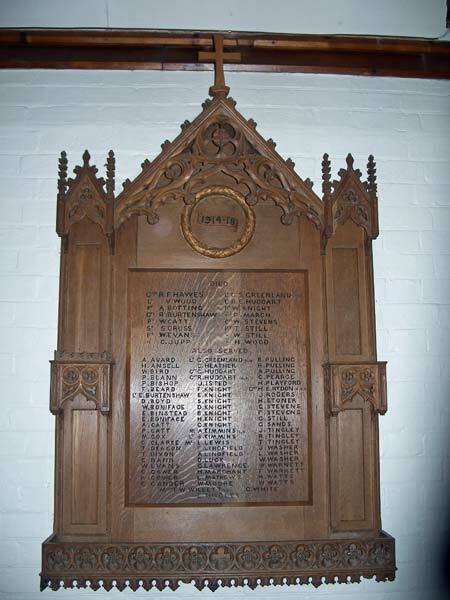 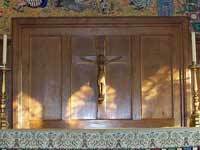 The reredos behind the altar was erected in their memory, and there is a small memorial tablet below the wooden one for the first world war to announce this and to list their names. 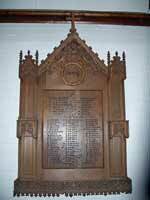 There is no common design to memorials in the church. One of the greatest contrasts in style is between two tablets, dating within a year and a half of each other, and placed one above the other on the south wall of the church. 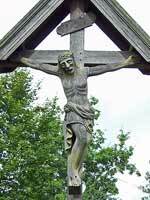 This page was last edited on Wednesday 17th October 2018 at 23:08:54 GMT, and was last fetched from the server, which is running FreeBSD 11.2-RELEASE-p9, on Friday 26th April 2019 at 00:45:20 GMT.